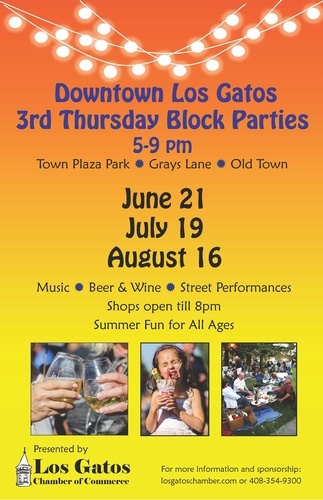 Mark your calendars: A Los Gatos tradition, The Los Gatos Dammit Run happens this year on August 14, 2010. 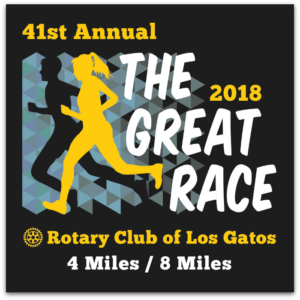 Beginning and ending at the track of Los Gatos High School, the 5 mile race takes particpants through flatlands and hills & includes the Los Gatos Creek Trail, the Jones Road Trail and a trip to the Lexington Reservoir dam (hence the Dammit part of the name). 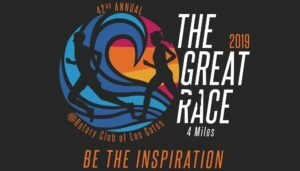 Los Gatos is an extremely fit town, and with good reason. Our sub-tropical climate, with 300 days of sunshine a year, means that most everyone can get at least some exercise, even if it’s taking a walk on a regular basis. But there are folks who enjoy taking their sports and exercise more seriously, and some of them wear clothing that you could not possibly ignore if you saw it. Yes, I’m talking spandex. Forgive me for taking an unpopular stand, but I really and truly believe that spandex should be a controlled substance. Not every healthy American body looks good in the stuff. And honestly, a lot of times, seeing people in skin tight clothing qualifies as “too much information”. To make matters worse, it seems fashionable that spandex comes in packages of striking color combinations – neon orange, electric green – splashed onto black. If that weren’t enough, ads find their way onto it also. You don’t just see them in races or on trails. You see them at the coffee shops downtown, or walking through the Farmer’s Market on Sunday mornings. I try not to look. I really do try. But it’s difficult not to look. Luckily, a lot of the good people who enjoy cycling in town are fit and that helps the visuals. I can only imagine that those who aren’t are trying hard to get there. God bless them. Just shoot me, please, if I ever go out of the house dressed like that. I admit, unlike some of my relatives, I’m not all that athletic. (The only “A” I ever got in P.E. was for archery. So I’m good at carnival games and “whack a mole” at the pizza parlor.) So there’s no hope that if I wore spandex, it might not offend someone. Most days I simply walk our dog or go to Curves to get my heart rate up and try to stave off diabetes. Ocassionally I walk up the very steep and tall Harwood Road or hike in the hills of Belgatos Park. When I emerge from the house with sweating in mind, though, I’m not wearing tight fitting clothes and I’m not trying to be noticed. I hide under loose, dark, old clothes (maybe a Patriots sweatshirt & faded Pats hat), sunglasses in place, and I’m hoping like mad that I don’t see anyone I know. But this is a very athletic town. There are lots of opportunities for exercise, whether it’s swimming at one of the many athletic clubs in town, the new Jewish Community Center, or elsewhere. Hiking is big, of course, as we have an abundance of hills and trails. So’s tennis, so’s running, and so’s roller blading. We have a beautiful golf course at La Rinconada, and many more courses within a short distance. Surf’s up? Just over the hill you can catch a wave at Santa Cruz. If crew or sailing’s your thing, there’s the 57 acre lake at Vasona, the Lexington Resevoir, the San Francisco Bay, the Monterey Bay, and many other lakes nearby. Snow Skiing (or boarding) is 3 1/2 to 4 hours away. And don’t forget the dog park – you can throw a Frisbee for Fido and you’ll both get a little fresh air and maybe both get some exercise. There seems to be something for everyone, no matter what level of expertise or dedication. I think it’s about my speed.